These jumpers are perfect for lounging around the house on those chilly days. 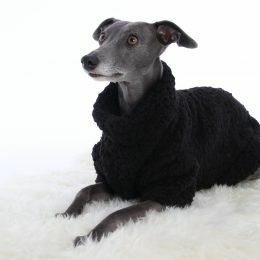 Keep your Sighthound wrapped up! 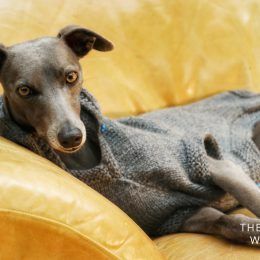 These jumpers are lightweight but warm with a single layer fleece fabric, these sweaters are great for lounging on the sofa or out on a chilly walk. 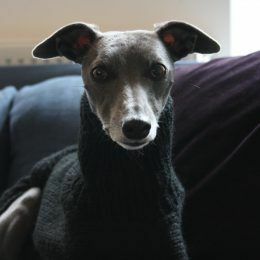 The Jumper has a double-layered thick high neck for extra cosiness. 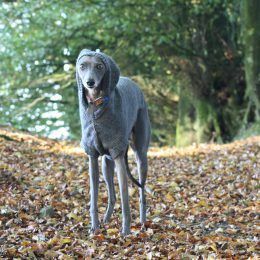 The two front legs to make it easy for your dog to step into and the jumper covers the chest – which is the part that gets the coldest on a Whippet, Italian Greyhound or Greyhound due to not having much fur there. The back is open for toileting. These jumpers are meant to be slightly oversized, with a large chest piece, for ease of moving and putting on and taking off. Sizes are an approximate only. Chest can stretch +2 inches. ** IF YOU ARE UNSURE OF SIZING, GO FOR THE LARGER SIZE OR PLEASE ASK! 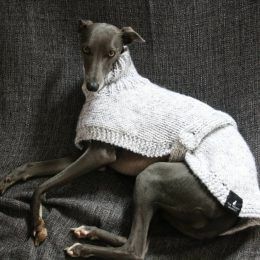 ** IT IS ALWAYS BETTER FOR THE JUMPER TO BE COMFY RATHER THAN TOO TIGHT! Size XSMALL – Length: 15” (38cm) Chest: 17″ (43cm). Size SMALL – Length: 16″ (40cm) Chest 20” (50cm). Size MEDIUM – Length: 19” (48cm) Chest 24” (60cm). Size LARGE – Length: 23” (58cm) Chest: 27” (68cm). Size XLARGE – Length: 30” (76cm) Chest: 32” (81cm). Please contact me first if you wish to return your item. Items will only be accepted if they are in a resellable condition. Returns for an exchange are accepted within 14 days of the purchase in the condition you received it in. If you wish to exchange your item for a different size, please contact me first for return instructions. Buyer pays return postage. If it is used it will not be accepted. Items need to be in a resellable condition. Please add your name and address in the parcel so your replacement can be exchanged and posted. Returns for a refund are accepted within 14 days of the purchase in the condition you received it in. Once the return has been received, we will issue a full refund. Please add your name and address in the parcel so we know who it is from. Lovely jumper and reasonably priced! Great looking item. Very nice fabric quality, soft and stretchy. 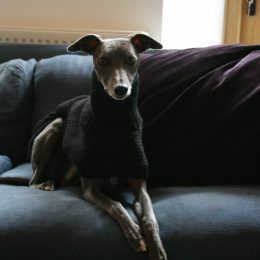 Our whippet loves wearing it indoors as a comfy pj. Hope to see next Christmas some more colors! Always great stuff! 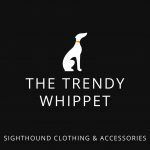 5* service and very friendly and helpful advice on selecting correct size. Products are excellent quality. 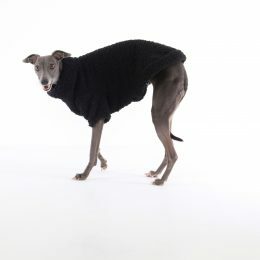 Love the look of this jumper on my galgo, very stylish! It’s lightweight, so a good option when it’s not too cold out. Will be ordering another for a friend. 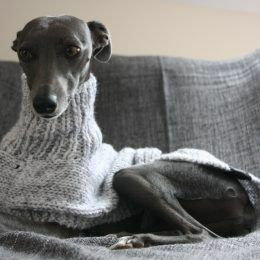 Fabulous, my greyhound loves her pyjamas!